This article is about the people of ancient Greece; for all other uses, see Macedonian (disambiguation). The expansion of the ancient Macedonians in 4th century BC. The Macedonians (Greek: Μακεδόνες, Makedónes) were an ancient tribe which inhabited the alluvial plain around the rivers Haliacmon and lower Axius, north of Mount Olympus in Greece. Historians generally agree that the ancient Macedonians, whether they originally spoke a Greek dialect or a distinct language, came to belong to the Koine Greek-speaking population in the Hellenistic period. Whether they were of ultimately Greek origin themselves or were later Hellenized is debated by some scholars; however, the Macedonian royal family, known as the Argead dynasty, claimed Greek descent from Argos in the Peloponnese (thus the name Argead) and Macedonians competed in the ancient Olympic Games, an athletic event in which only men of Greek origin were allowed to participate. 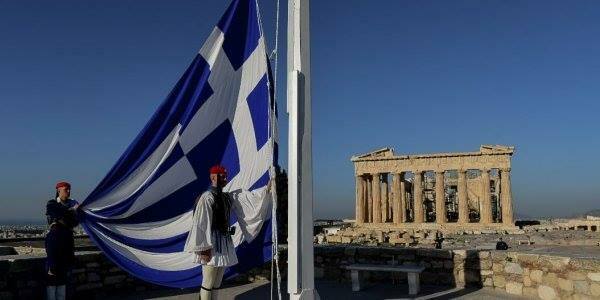 In Greek mythology, Makednos was the mythical progenitor and eponymous ancestor of the Macedonians. According to Hesiod‘s Catalogue of Women, Makednos was the son of Zeus and Thyia, the daughter of Deucalion and Pyrrha, and brother of Magnes. On the other hand, Hellanicus of Lesbos‘ later genealogy lists Makednos as the son of Aeolus, the founder of the Aeolian tribe, and thus a grandson of Hellen, the mythological patriarch of the Hellenes. 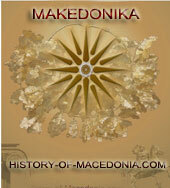 Several ancient Greek writers have elaborated on the descent of the Macedonian tribe. Herodotus, in his work Histories, talks about the origin of the Macedonian royal house, the Argead dynasty, from the city of Argos, in the Peloponnese, and the lineage of Temenus, a descendant of Heracles, thus they were also known as Temenids. He also writes that the Macedonians were a Greek tribe from which the Dorians originated; in another part, Alexander I is presented to name himself the Greek viceroy of Macedonia while speaking to the Persians. Pausanias, in his work Description of Greece, states that the Macedonians took part in the Amphictyonic League, which was an association of ancient Greek tribes formed to protect a specific temple or sacred place. In 356 BC, when Phocians captured and sacked Delphi and a sacred war was declared against them, they were expelled from the league and their two votes were given to Macedonians who had helped to defeat them. Polybius, in his work The Histories, describes the treaty made between Hannibal and Philip V of Macedon, clearly stating that Macedonia was a part of what he perceived as Greece and that Macedonians were Greeks. He also includes in his work the speech of Lyciscus the Acarnanian who, addressing to Cleonicus and Chlaeneas, the Aetolian envoys at the assembly of Sparta, refers to the racial kinship between Aetolians, Achaeans and Macedonians. Demosthenes, the leader of the anti-Macedonian party in Athens and sworn enemy of Philip II of Macedon, disputed the Greekness of Macedonians. His words, often perceived as an effort to slander Philip, seem to be in disagreement with Herodotus’ theories regarding the kinship between the Dorians and the Macedonians. 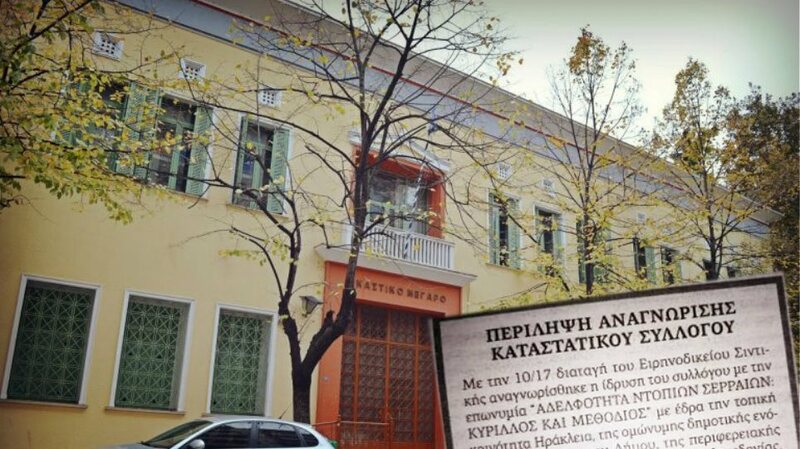 However, modern historians such as Eugene N. Borza, revealed the Demosthenean corpus as simply a form of political rhetoric designed to formulate public policy and sway public opinion in Athens against the Macedonians, or as just an insulting speech, according to Nicholas Hammond. Titus Livius, in his work The History of Rome, says that Macedonians spoke the same language as that of Aetolians and Acarnanians, undoubtedly Greek tribes. A passage in book five of Herodotus’ Histories concerns the exclusion of Macedonians from panhellenic events such as the ancient Olympic Games, where only Greeks were allowed to participate. In 504 or 500 BC, the Macedonian king Alexander I attempted to participate in the Olympic Games but was met with resistance by competitors, who regarded him as a non-Greek. According to Herodotus, Alexander argued that his family was of ultimately Greek Argive descent, and the Hellanodikai determined that it was so, allowing him to take part. Other kings of Macedonia such as Archelaus I and Philip II also took part in the Games. Other Macedonian victors recorded are Ptolemy I, Ptolemy II, Arsinoe, Berenike I, Berenike II, Etearchus, Molykos, Trygaius, Plaggon. Additionally, a 5th century BC inscription found in royal tomb at Vergina shows evidence that Macedonian kings competed in Argive Heraean games. Amyntas III in 371 BC took also part in a Panhellenic congress, concerning Amphipolis. From the age of Perdiccas III 365 BC onwards, who served as Theorodokos, participation of Macedonian athletes in Panhellenic Games and festivals became common. In 19th century scholarship, some scholars argued that the Macedonians possibly had an Illyrian or Thracian rather than a Greek origin. Professor William Mitchell Ramsay considered the Macedonians as a tribe of Thrace, the land north-east of Greece, akin to the Thracians. George Rawlinson, stated that the Macedonians were a mixed race, not Paionians, Illyrians or Thracians, but of the three, closest with the Illyrians. Various “mixed” scenarios (e.g. Greco-Illyrian) have also been proposed. Following the archaeological discoveries of the 20th century, numerous modern scholars now advocate that the ancient Macedonians were of Greek origin which to this day remains the most common consensus. Systematic excavations at Aiani since 1983 have brought to light finds that attest the existence of an organised city from the 2nd millennium BC to 100 BC. The excavations have unearthed the oldest pieces of black-and-white pottery, characteristic of the tribes of northwest Greece, discovered so far. Found with Μycenaean sherds, they can be dated with certainty to the 14th century BC. 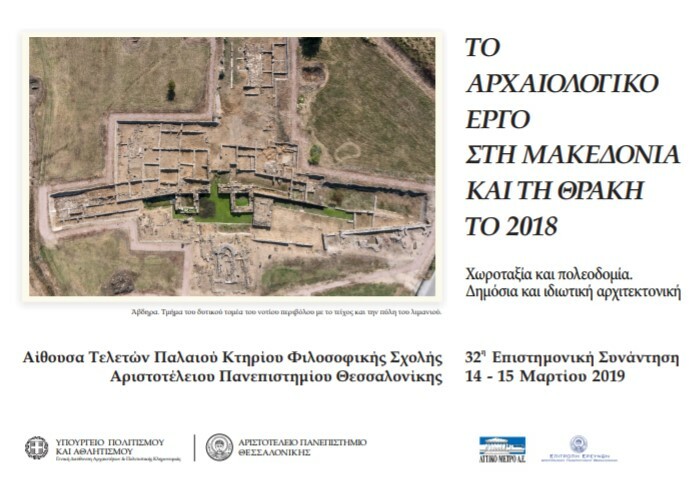 The findings also include some of the oldest samples of writing in Macedonia, among them inscriptions bearing Greek names like Θέμιδα (Themida). The inscriptions demonstrate that the society of Upper Macedonia spoke and wrote Greek before the 5th century BC. Other scholars, such as Nicholas Hammond, argue that the language of the ancient Macedonians was a pure but specific form of Greek until 4th century BC when it was eventually amalgamated with common Greek. Regarding the Macedonians’ geographic origins, one theory suggests that they occupied the mountainous area of Orestis, near present-day Kastoria, and the valley of the Haliacmon river, in the first millennium BC. From 8th century BC or early 7th century BC, Macedonians expanding eastward subjugated and expelled the earlier Illyrian, Thracian and Paeonian populations, as well Greek settlers, or mingled with them. Due to the fragmentary attestation various interpretations are possible about the ancient Macedonian language. The Attic Greek was standardized as the language of the court, formal discourse and diplomacy from at least the time of Archelaus at the end of the 5th century BC. The tongue of the area’s inhabitants, prior to the 5th century BC, is attested in some hundred words from various glosses, mainly those of Hesychius of Alexandria, as well as placenames, personal names and local inscriptions. 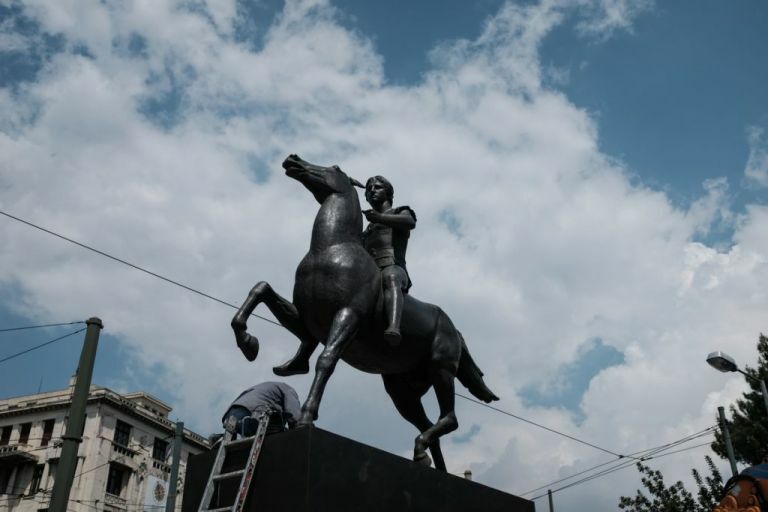 The sample of original Macedonian words has been proved insufficient so far to show what the Macedonian language was. The majority of the words are Greek, several inscriptions have revealed some tendencies toward Doric Greek and Aeolic Greek; on the other hand, there can be found some Illyrian and Thracian elements. The Pella curse tablet, which was found in 1986 at Pella and dates to the mid-4th century BC or slightly earlier, is believed to be the only attested text in Macedonian. The language of the tablet is harsh but a distinctly recognizable form of a Northwest Greek idiom of Doric, thus it has been forwarded as an argument that ancient Macedonian was a Doric dialect.